Quatro estação log de mão-scribed casa no lago Little Bass em um lote privado 5. 0 acre no final da estrada sem saída. Apenas 1 vizinho distante. Interior terminou com teto de pinho nodoso e australianos pisos de madeira Chipre, e Tamarack painéis. cozinha completa incluindo geladeira, freezer, máquina de lavar louça, microondas, fogão, forno e ilha central. Assista as estrelas do grande deck de frente para a baía calma na extremidade sul de Little Bass Lake. Há boa pesca desde docas. A-Frame tectos abobadados com BR mestre e banho no loft. Piso principal tem 2 quartos grandes, casa de banho completa, cozinha e sala grande e tem uma varanda 4 temporada que é ótimo para as refeições da família em qualquer época do ano. A cave greve está inacabada, mas há lavanderia e um bowflex e elíptica para uso dos hóspedes. Várias fogueiras formam um excelente local para conversas, singalongs e S'mores. Lenha fornecida. A 150-acre 70 pés de profundidade do lago, Little Bass tem uma pesca abundante, incluindo pique do norte, grande baixo da boca, boa pesca do tipo de peixe, e até mesmo o Badejo ocasional. internet banda larga e TV a cabo básicos incluídos. acesso de barco público tornando-se conveniente para lançar o seu barco. A abundância de espaço de cais para você barco. Há um pontão 2011 Forrester Fisher 19 pés para alugar também - pergunte ao proprietário. PS: Infelizmente minha propriedade não acessa diretamente trilhas de snowmobile. Você pode ser capaz de seguir valas para chegar às trilhas no entanto. FORNECIDO: lençóis para as camas são fornecidos. Nós fornecemos conjunto de iniciação de toalhas TP e papel. Depois disso, você fornece por favor. Também são fornecidos panos de prato e toalhas. Eu forneço uma pequena partida de líquido de prato e vagens de máquina de lavar louça, mas você fornecer depois disso, por favor. É muito caro fornecer esses itens para todos os hóspedes. A madeira é fornecida para fogueiras e lareira. NÃO FORNECIDO: NÃO fornecemos kleenex, especiarias, alimentos ou bebidas relacionados, toalhas de banho, etc. Também é sua responsabilidade por mais toalhas de TP e Papel, líquido de louças, lava-louças e pods de lavanderia após o conjunto inicial fornecido. Isso é padrão para a maioria das casas de férias / condomínios que você alugaria. Great home for a getaway with family and friends. Very nice place, easy to get to and close to Cohasset and Grand Rapids. Snowmobile trail access was not difficult. Ample parking. Thanks so much Jacob! Come back soon! 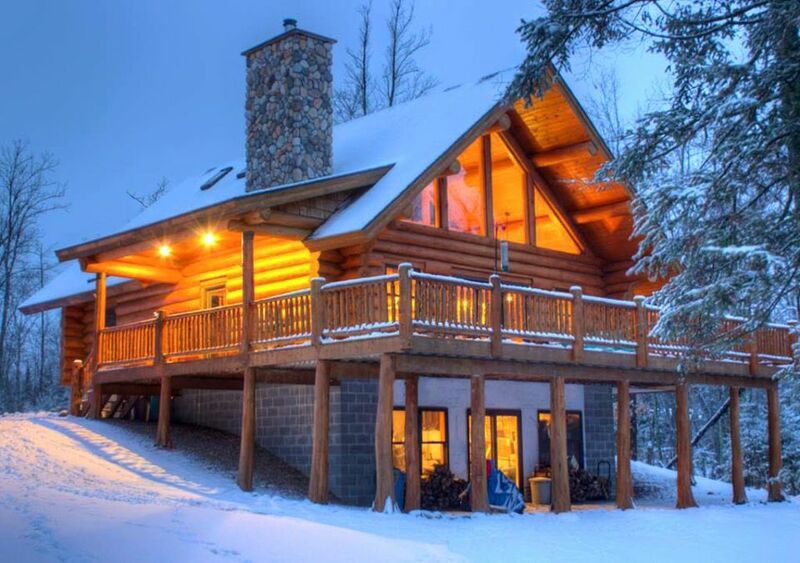 Wonderful log home, and very accommodating owner! While you have the feeling of being in a remote/wooded location, you have the convenience of being about 10 minutes away from lovely downtown Grand Rapids! We appreciated being able to retreat to this property to relax, reflect, and prepare meals for our family, who was suddenly called back to Grand Rapids to attend a funeral of a Grandparent. From a shopping perspective, there is a Super One foods on Highway 2 just as you enter Grand Rapids, which was very well stocked with excellent produce, butcher counter, and a lovely prepared foods area. We were able to find everything we needed at this small, but well stocked store! We have used VRBO many times, and this was one of our favorites! The kitchen was large, and the dining area was well suited for our family of 6. If you like to cook, this kitchen is VERY WELL stocked with pots, pans, chopping & carving knives, steak knives, and a coffee pot! The convection oven, and outdoor barbeque was also very nice! This was one of the best stocked kitchens, and we very much enjoyed being able to stay in by fire, and prepare family meals. The home was beautifully built and decorated. It has floor heat, and the MBR has a gas fireplace operating on a thermostat. There is a lovely fireplace in the living room, which was well stocked with fire starter, and wood. Was very cozy, especially when the fireplace was going! Randy was very attentive to our arrival and departure, and responsive to our questions regarding our stay. While we stayed in the winter, you surely can't go wrong any time of the year with this property. Enjoy! My wife and I greatly enjoyed our stay. Beautiful cabin with great lake access. Amenities available at near by town - Grand Rapids. Owner was fantastic to work with and communicating well from prior to the trip to afterwards. Thank you Eric! Looking forward to seeing you next summer! We do a cousins crafting weekend every year, we had plenty of space and nice layout. So quiet. This Cohasset log cabin was perfect for meeting up with family for a few days. Upon our arrival we were met with a sparkling clean log home as well as two lovely bottles of wine on the counter. We had enjoyable meals made in the spacious, well stocked kitchen and we enjoyed several bonfires in the fire ring which is conveniently located close to the home. We also enjoyed the use of the pontoon and managed to catch a few fish. Peanut the pitbull (wearing his new doggie life jacket) had his first ever boat ride, which was fun to watch! Randy, the owner, was very easy to get ahold of and all went smoothly during our stay. Will definitely plan a return visit to this beautiful home in the woods! Thanks so much you guys! Looking forward to seeing you again! We had a fantabulous time in this home! It is gorgeous inside and out! You are surrounded by stunning pines and maple trees and more. Randy is very professional in his manner of making sure everything and I mean everything is perfect for his renters! There isn’t much you need except your food and towels! The home is clean,comfortable and has many amenities! Loved our stay! We will definitely return! Sherry, Thanks so much! Looking forward to seeing you again! Itasca County é conhecida por suas 1000 lagos e grandes caminhadas e trilhas de cross country esqui. Existe um casino em Deer River que é de 10 milhas a partir da propriedade. Grand Rapids é de apenas 6 quilômetros de distância com todos os seus benefícios e atividades. NOTA: Town Line Road no mapa acima agora é chamado Peterson Bay Road. Apenas vire à esquerda nessa estrada e siga para a primeira curva à direita e suba a pequena colina até a casa de toras. 34882 Peterson Bay rd.